Researchers at Disney have come up with a method to identify different gadgets. In fact, the method is so precise that it can tell the difference between two different units of the same device. 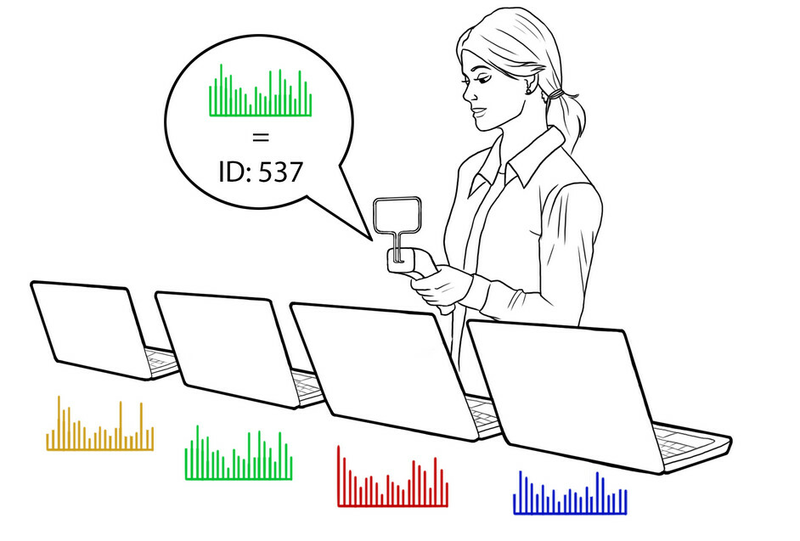 The system is named EM-ID because it uses the electromagnetic signals that all devices emit, to identify smartphones, tablets, laptops and any other electronic device or gadget. Disney researchers say that the system was right about 95% of the time, although some objects were easier and others harder to identify. A toy light saber was picked out from its electromagnetic signal 100% of the time. The Apple iPhone, on the other hand, could only be picked out 72% of the time. Disney does have an algorithm that can predict whether a specific device can be tracked with this method. This will help researchers determine whether a new device can be identified with EM-ID, or if another method must be employed. "The idea that these electronic devices have such distinctive RF emissions is astounding. Our researchers were able not only to discover this phenomenon, but to develop a means of using it to identify devices right out of the box. "-Jessica Hodgins, vice president, Disney Research. " This might be the time when you're scratching your head and wondering about real world application for this. Well, considering that the gadget has to be turned on to be identified, it would seem to limit its use as an inventory tracker. Still, Disney says that "EM-ID provides a zero cost method of uniquely identifying, potentially billions of electronic devices using their unique electromagnetic emissions." Perhaps it does have some use along the assembly line, during the manufacturing process. Its a big surprise to me Disney has a research lab. Are they trying to genetically mutate real life mickey mouse? You have no idea how much money disney have to get their own research facilities. Even their marketing division may be spending billions of dollars every year just to make sure the black mouse will be a household name. Law enforcement seems like it could make use of such technology. Or perhaps if Disney were to implement it at its parks, it could create fun markers for parents to stick on their children in case they need to locate them if the child(ren) were to wander off. Wouldn't it be funny if they became the next Apple? Hey guess what, I have a Mickey Phone (saying it like its cool) lol.. There's already a disney phone made by docomo and also launching in the philippines this year. You'll get mickey mouse silhoutte for home button. The specs are not so shabby for the price. Shouldnt the device be turned on before it emites "electromagnetic emissions"
I thought I had heard something about this before, will admit though, this kind of tech was not something I would have expected Disney of all corporations to come up with.